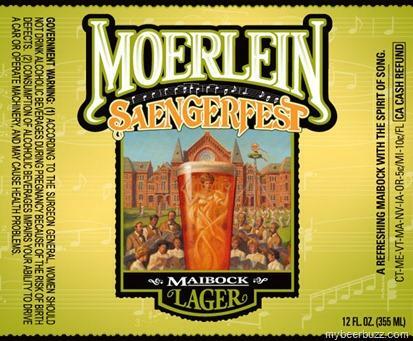 In a nod to Cincinnati’s deep German and musical heritage, Christian Moerlein Brewing Company‘s newest beer appears to be a Moerlein Saengerfest Maibock Lager. The label is a beautiful painting by Cincinnati artist Jim Effler showing Music Hall, a maypole in Washington Park and a chorus of singing Germans. For more information, check out the Cincinnati Business Courier’s story and mybeerbuzz.com’s post. This is a good time to talk a little about Music Hall’s creation, preservation and future. See the missing statue atop the center peak? 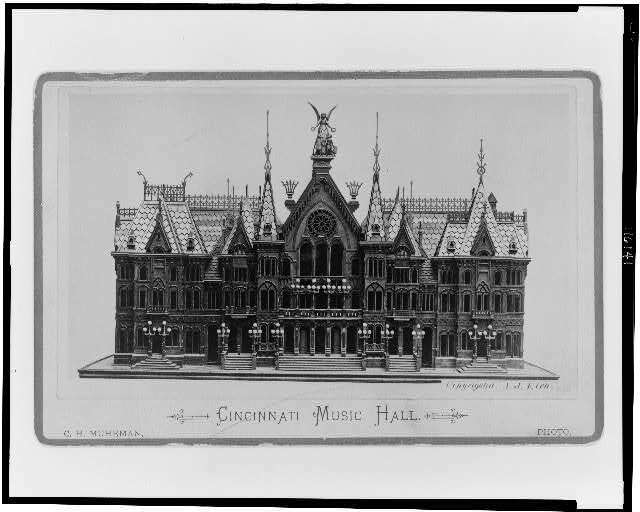 Is the statue going to reappear as part of Music Hall’s grand renovation? Good catch on the reappearance of the statue in those renderings. Maybe the statue will infact return. That would be uber fantastic. Man, are Greg Hardman and Christian Moerlein the greatest of what? True Cincinnatians. Couldn’t agree more with both of you. Greg Hardman and Christian Moerlein are heroes.